Stable families are the bedrock of civilization-and modern attitudes, beliefs and behaviour serve to either stabilize or weaken family. - Is marriage still relevant? - How important are dads to a family? - Is "anything goes" sexuality good for society? - Are male/female differences worth celebrating? 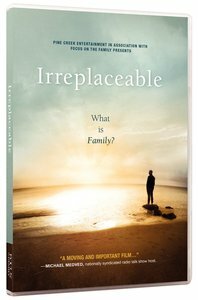 Irreplaceable will offer you a message of hope-that it's never too late to become a better father, mother, sister or brother. It's worth it! There is a lot of truth here that needs to be heard. I expected it to cover more countries but it mainly covers UK, USA which is ok. Plenty of food for thought. May it be used to rescue lots of young people from damaging their lives.